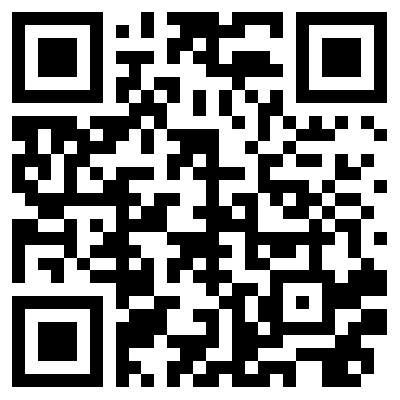 will be redirected to the GivenGain website. 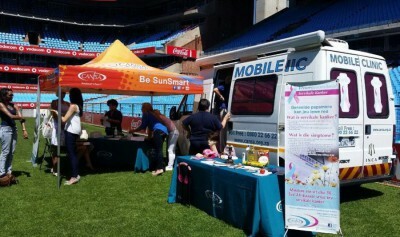 Thank you to Vodacom and the Bulls who allowed CANSA the opportunity to be a part of this campaign once again. 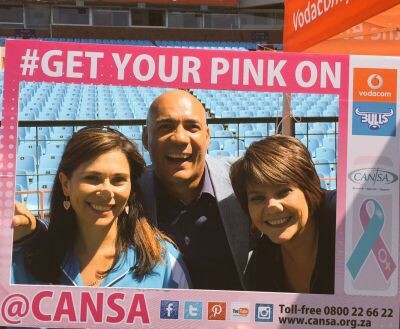 We know that one in four people in SA are affected by cancer, and we are glad that these people are standing together to fight against this dreaded disease. The money raised will be used to buy another CANSA Mobile Health Clinic so that CANSA can conduct cancer and health screening in the local communities. 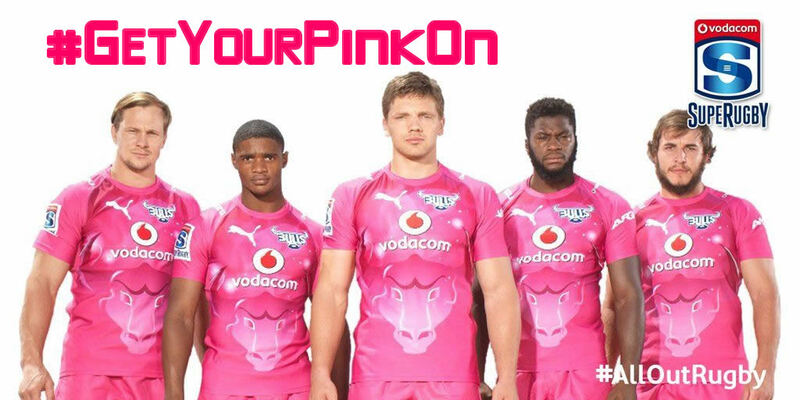 Read eNewsletter for all the exciting details… – join the Vodacom Bulls and CANSA at Loftus and show your support by wearing PINK – the Bulls are leading by example, so it’d be cool if you would follow! 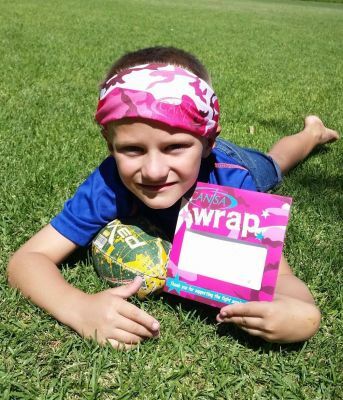 Help the #GetYourPinkOn team co-ordinate the biggest PINK wave ever at a rugby game! 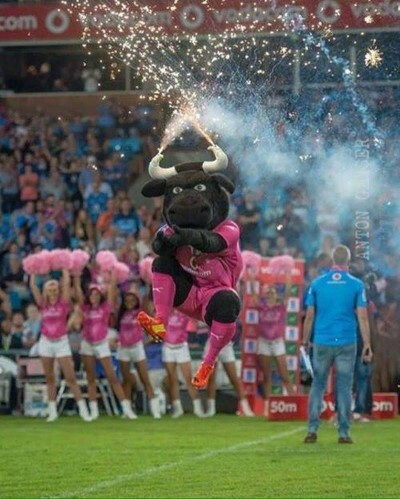 On Saturday 2 April 2016, the Vodacom Bulls will take to the field in PINK, to battle it out against the Toyota Cheetahs in the 5th round of the Vodacom Super Rugby. All proceeds raised will go towards the big fundraising goal to purchase a new CANSA Mobile Health Clinic. Saturday will be an exciting day, and somewhat different to ‘the usual’ rugby game. Attendees can expect great positive energy, music and of course super rugby. We are looking forward to seeing all of the fans heading out to show their support – dressed up in PINK. The Vodacom Bulls will go head to head against the Toyota Cheetahs in the 5th round of the Vodacom Super Rugby. 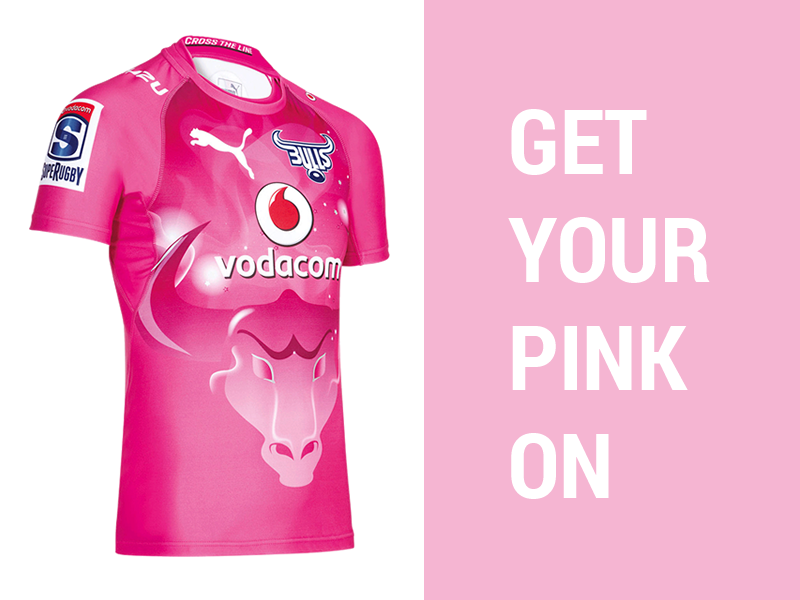 The Bulls will take to the field in a pink kit all in the name of raising funds and awareness for CANSA as part of the #GetYourPinkOn campaign. 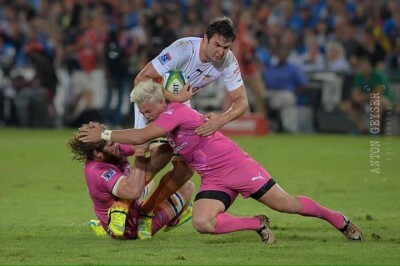 Op Saterdag, 2 April 2016, takel die PIENK Vodacom Bulls die Toyota Cheetahs in die vyfde rondte van die Vodacom Super Rugby wat na verwagting die magstryd van rugbywedstryde gaan wees. 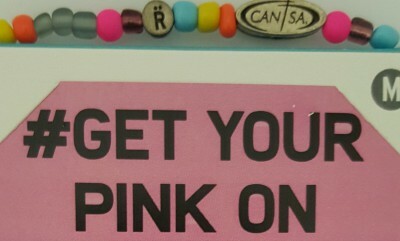 100% van die fondse wat ingesamel word deur die #GetYourPinkOn veldtog word direk aan KANSA geskenk. KANSA sal die geld gebruik om bykomende Mobiele Gesondheidsklinieke aan te skaf en toe te rus.